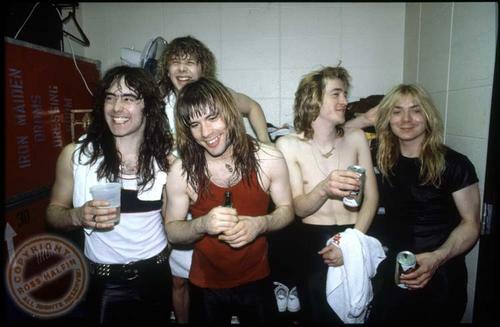 In early 1982 Iron Maiden set out on their first major tour with new singer Bruce Dickinson. There is a heavily edited official DVD feature out there, but here’s a longer cut of the band’s legendary 1982 performance at London’s Hammersmith Odeon. Run To The Hills had just been released and did well in the charts. The new album, The Number Of The Beast, was just around the corner. It was customary for Maiden to start tours before a new album’s release date in those days. Which means – at the time of filming this epic performance, the band had no idea how big of a breakthrough their 1982 album and tour would become. The Hammersmith show on March 20, 1982 was recorded and filmed, but it was not released either as a live album or a concert video. It would certainly merit the former, but the poor quality of the film production made band and management decide against the latter. The soundtrack recording finally saw release in 2002 as the double album Beast Over Hammersmith, a part of the Eddie’s Archive box set. 46 minutes of the footage was then issued on Maiden’s first History DVD, 2004’s The Early Days. Two days later The Number Of The Beast was released. Iron Maiden was officially a major player in the biggest league. And Run To The Hills would never again be performed so early in the set! During the course of the 1982 Beast On The Road tour, Maiden’s latest album would climb to Number One in the UK album charts. Their profile would suddenly be that of heavy metal champions. Maiden started the Beast tour in the market town Dunstable, England on February 25 and ended their triumphant journey in Niigata, Japan nearly ten months later, on December 10. During the course of the year the band had performed an incredible 184 concerts, including many months as special guests to the likes of Rainbow and Judas Priest in North America, as well as their first ever visit to Australia. Fact: The 1982 tour was just three concerts shy of the much more talked about World Slavery Tour in 1984-85! The relentless schedule of the Beast On The Road campaign, coupled with the excesses of being a young band on tour, would bring major changes to Iron Maiden. Their next tour, for their 1983 album Piece Of Mind, would see them become more focused and serious, and even launch their first ever US headlining tour. Click here for a FROM THE VAULT moment from the 1983 World Piece Tour! It’s incredible that Maiden moved right from the mammoth 1982 world tour into writing and recording another one of their best ever albums. But drummer Clive Burr, rest in peace, would no longer be in the band at that point. The end of the very successful Beast tour would signal his exit from Maiden. The live album that nearly never was. 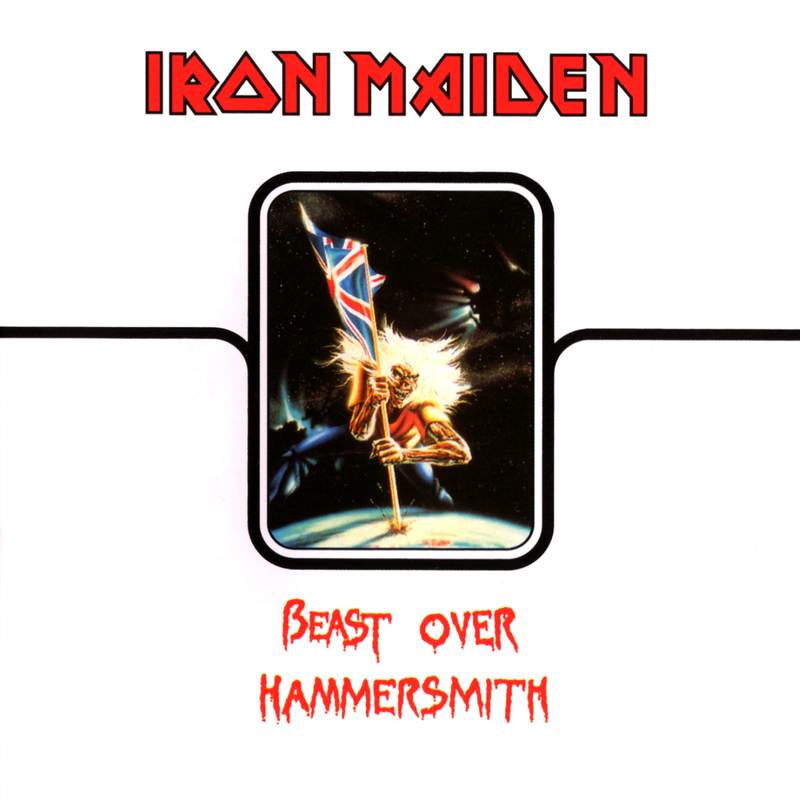 Recorded in 1982, Beast Over Hammersmith was finally released in 2002. ← Sonisphere UK: Iron Maiden and Black Sabbath for Knebworth 2014? They OWN the stage when they run out for “Murders in the Rue Morgue”. Amazing. Also a lot of the camera angles and edits from the version above are different than the “Eddie’s Archive” release.